When I was invited to a conference in Sikkim I jumped at the chance. Whilst I was excited and interested in the topic to be discussed, travel, I just wanted to experience this place for myself. I had heard so many things about Sikkim, most people who had described it to me looked longingly as they recounted the lush greenery and mountain breeze. Given the Summer has set in in Mumbai and monsoon was threatening, Sikkim sounded just perfect. The conference was focused on travel, clearly one of my passions in life, and was designed to be a meeting of bloggers, photographers and travelers to share their experiences and learn from each other. It was hosted by Club Mahindra who opened up their new Baguiney resort to us. 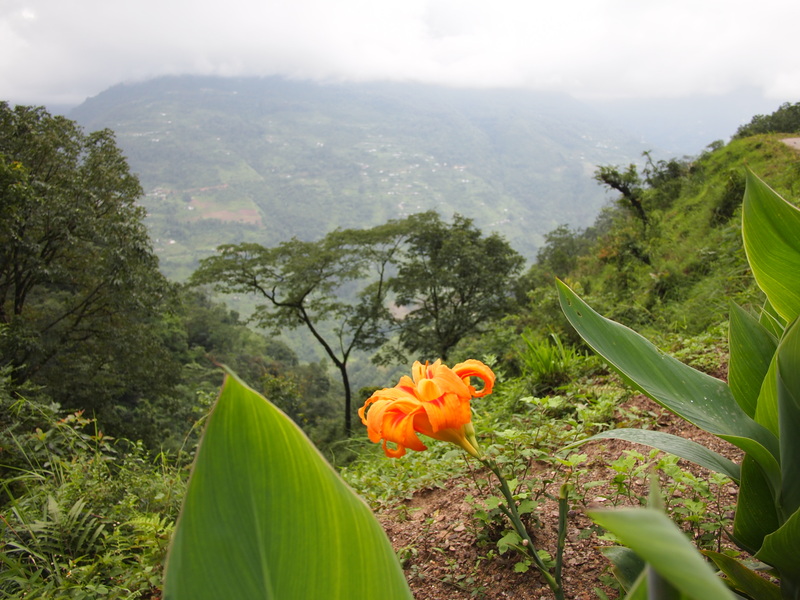 One of the things that makes Sikkim such a revered destination in India would have to be its remoteness. It took a good 12 hours of travelling to get there from Mumbai, first by plane (via Kolkata) and then nearly four hours by car from Bagdogra airport to the resort. The drive is stunnng, starting with the obligatory tea plantation, and then leading into winding roads that curved around the verdant mountains. The Rangeet river beckoned below, I had almost forgotten how crisp things can look when you are away from the city. The resort is tucked away behind the small town of Sayabazaar. Its easy to miss in a small valley, which makes it even more peaceful. We were greeted with some fabulous chaat upon arrival and then proceeded to settle in. I woke in the morning and took a look outside my window, to my delight it was a world away from Mumbai. There was no dust or rubbish on the street, just the view of the river quietly ambling along and some birds chasing each other from tree to tree. I didn’t really know much about the conference participants, but we spent the day getting to know each other through our work. From the stunning photography of the North East by Vishal Sabharwal, to visions of Ladakh by Arun Bhat that have whet my appetite for my upcoming trip, to a journey to Everest base camp by Mridula Dwivedi. There were some exciting journeys that I made me feel like I was there. We were taken to Antarctica by Priya Venkatesh and then left to salivate at the wicked culinary delights of Monika Manchanda. 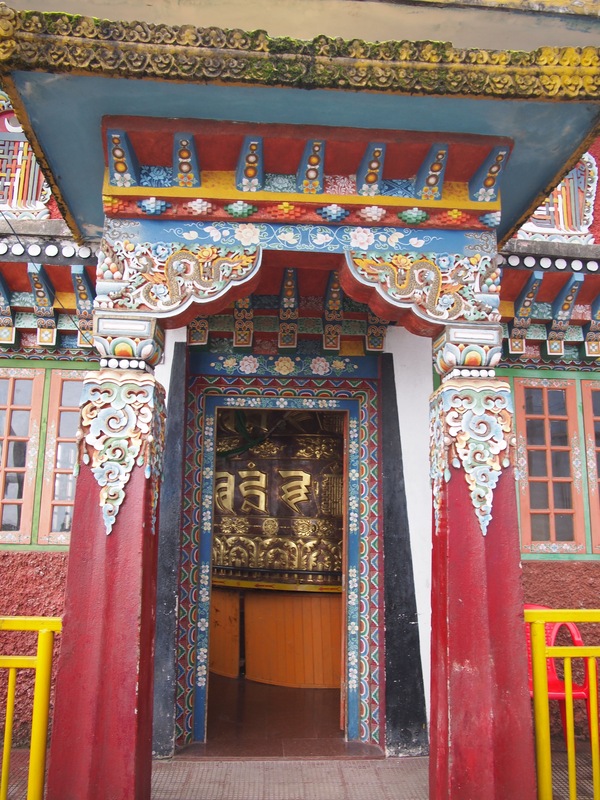 Sikkim is primarily buddhist with a lot of Nepali influence. 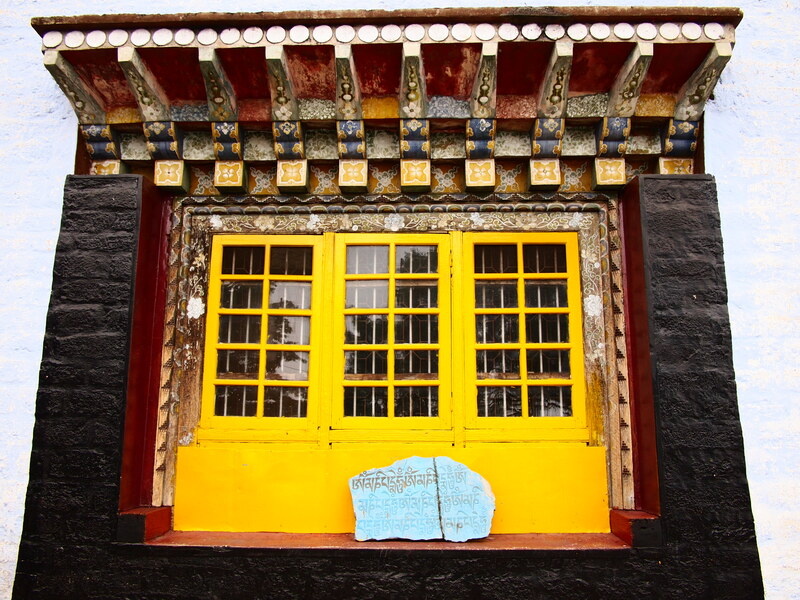 We took a trip to the town of Pelling, where there is the Pemayangtse monastery. There we were permitted to sit in on a prayer session with the monks, as they sang and beat their drums in a trancelike chant. The old monastery was beautifully painted, brightly inside and still had clothes, drum and carvings from as early as the 17th century. Unfortunately we were not allowed to photograph the inside, but the colours still shone through outside. Driving back through the winding hills, I felt calm. After two months in Mumbai I had almost forgotten what that felt like. It reminds me, I must get away more often, even if just for a weekend. For me, the thing that I will take away from my brief visit to Sikkim is the smell. Fresh, lush and crisp, there is nothing that compares to me than the scent of the mountains. 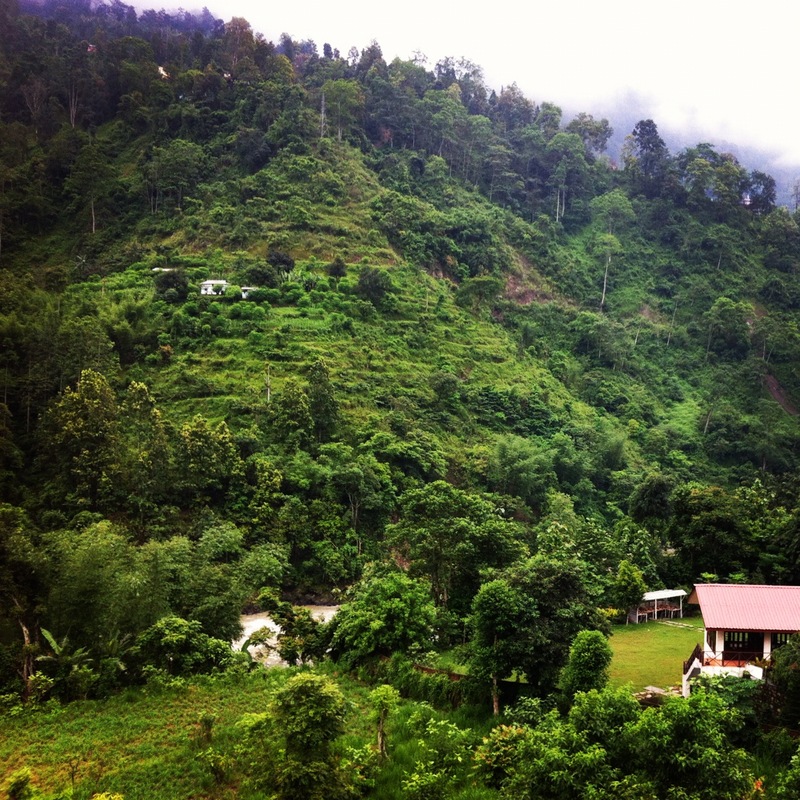 I am already starting to plan when I will return to Sikkim, sometime soon I hope. Thanks for your enquiry. There is a lot to do around the nearby property, nature walks and a visit through the town. I enjoyed our day trip to Pemayangtse monastery and I believe you can also visit Gangtok on a day trip as well. Have a great trip. hey r coming to pune? I wonder what would have been the output if you were completely well! Loved your post Rakhee. Yes I do wonder that too. Nevertheless it was lovely to meet you. Haha not all! Nowhere near as much trouble as I was. Read on your tweets that you were not well? Hope you are feeling better now. Yes it was long, but definitely worth it. Unfortunately I have been a little unwell, but feeling much better now. The northeast is verdant and amazing. Nice pics – thanks for sharing!